The Samtskhe-Javakheti and Mtskheta-Mtianeti regions are expected to receive improved access to, and quality of, public infrastructure; increased volume of private sector investment; and increased number of small and micro enterprises in renovated sites and cities. The Government will benefit from increased overall tourism spending and satisfaction, job creation, improved institutional capacity of selected agencies, and improved capacity to operate and maintain assets. A series of broad-based public consultations were held by the World Bank Georgia Office that helped to identify the needs of the region, complete the Tourism Development and Marketing Strategy for each region, and prepare the project to respond to these needs. A tourism circuit was identified in each region in participation with all stakeholders. Each region offers a variety of tourism products with the potential to offer high-quality tourism through preserving and enhancing cultural heritage, ecosystems, wildlife, winter-ski resorts and summer-mountain adventure activities. Harnessing the tourism potential of both regions would help to provide job opportunities particularly in boutique hotels and SMEs sectors. The project is expected to support better integration of the two regions with the country-wide tourism circuits, to better utilize the hitherto untapped significant tourism and hospitality industry potential. The two regions will be reinvigorated to join Georgia’s key regions of growth and attraction in the broader tourism and economic growth context. By focusing on promoting productive activities along with provision of complementary infrastructure and basic services, the proposed Project can offer income generating opportunities for these regions. Employment opportunities can, in turn, help boost shared prosperity in the two regions. The Third Regional Development Project will continue to support institutional capacity and performance of the Georgia National Tourism Administration (GNTA), National Agency for Culture Heritage Preservation of Georgia (NACHP), National Museum, the project implementing agency – Municipal Development Fund of Georgia (MDF), and other local and regional entities. 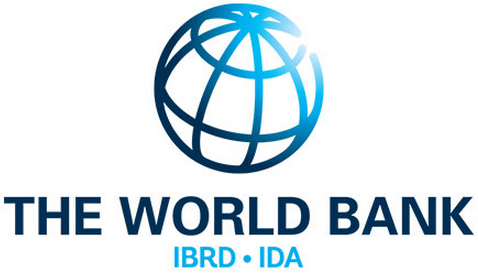 This is the third regional development project approved by the World Bank for Georgia. The first Regional Development Project for Kakheti (US$60 million IBRD loan) was approved by the World Bank in March 2012, and the second Regional Development Project for Imereti (US$30 million IBRD loan) in November 2012.